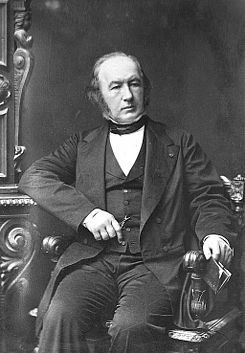 Claude Bernard (July 12, 1813 - February 10, 1878) was a French medical doctor who aimed to establish a scientific method in medicine that relied on scientific experimentation. His experimentation was very broad but he was most well known for his study of the pancreas and the liver. The study of the physiological action of poisons was also of interest to him, his attention being devoted in particular to curare and carbon monoxide gas. "I am very happy to see Claude Bernard featured here. I would like, however, to re-emphasize the (sometimes unrecognized) importance of his contribution to science and the experimental method. In 1865, Claude Bernard published his “Introduction à l’étude de la médecine expérimentale”. This is a landmard book for every scientist and should be part of his/her education. Chapter 2, entitled “About a priori ideas and doubt in experimental reasoning” cristallizes the fundamental principles of experimentation, such as: - make abstraction of one’s opinion or any preconceived idea in front of the data; - the philosophical doubt is the credo of the experimenter; - experimental reasoning is the inverse of the “scholastic” reasoning, i.e. whereas the scholastic reasoning starts with a certainty and attempts to interpret all the facts as supporting the original assertion, the experimental reasoning starts with an idea that the data will model and modify; - when an experimenter confirms a preconceived idea, (s)he still must doubt and another step is necessary: the “counter-proof”. As Claude Bernard states: “The counter-proof becomes therefore the essential and necessary step for the conclusion of the experimental reasoning.”"